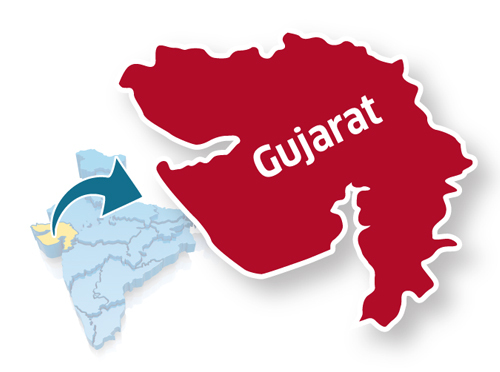 Gujarati is an Indian language mainly spoken in the state of Gujarat. This language has traveled all over the world as the people of Gujarat (known as Gujaratis’) have moved and settled in other countries. Why People Want to Learn Gujarati? People want to learn Gujarati more than ever. There many reasons for it. First, many couples are involved in inter-caste and inter-racial marriages with Gujaratis. They need to learn Gujarati in order to communicate with other members of the spouse’s family. Second, Gujarati parents would like their children who are born and raised mainly in USA and Canada to learn their native language so they can connect to their roots. Third, people want to learn Gujarati to communicate for business purposes. Gujaratis are spread in various businesses and it helps to work with them if you know their language. Fourth, Gujarati is a unique language and people want to learn it so that when they travel to India and visit their extended family members in Gujarat they can easily talk to them and blend in with the culture there. Lastly, people want to learn Gujarati as a foreign language. How Do We Help You Learn Gujarati? We provide an organized basic Gujarati Speaking Curriculum in which you learn Gujarati step by step from your assigned tutor. You meet the tutor on a weekly basis over Skype and go over the lesson. The curriculum starts with basic vocabulary that you are likely to use. Once the vocabulary builds up, then the lessons move on to teach you on how to speak complete sentences. Every session has a set topic that is covered. All the tutoring sessions are one-on-one and you will be able to move through the lessons at your own pace. Having a tutor to practice with rather than read a lesson and go on your own will help students learn how to pronounce words. They will also have a good grip of the language. Our Gujarati curriculum also teaches you about social norms of the Gujarati culture including family structure, the dos and the don’ts and more. To enroll in our Gujarati Speaking tutoring program please contact Phoenix Tutoring and Test Prep. We provide online one-on-one tutoring all over United States and Canada. Please call or text 773-386-3184. You can also visit www.phxtutoring.com for learn more. We charge a low price hourly rate for our Gujarati Tutoring program. Please contact us for more information. We are currently running a “summer special” for this program.